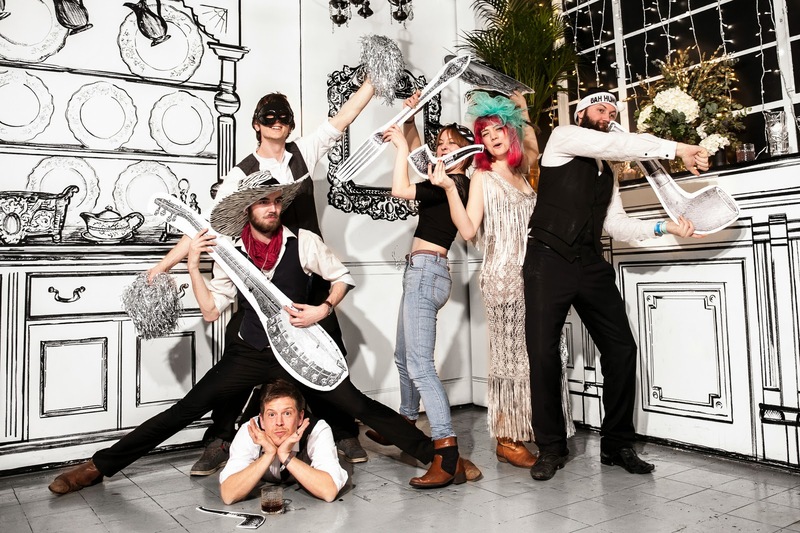 A Most Curious Wedding Fair Blog: Boxless Booths bring Most Curious Photobooth Fun to Your Wedding! 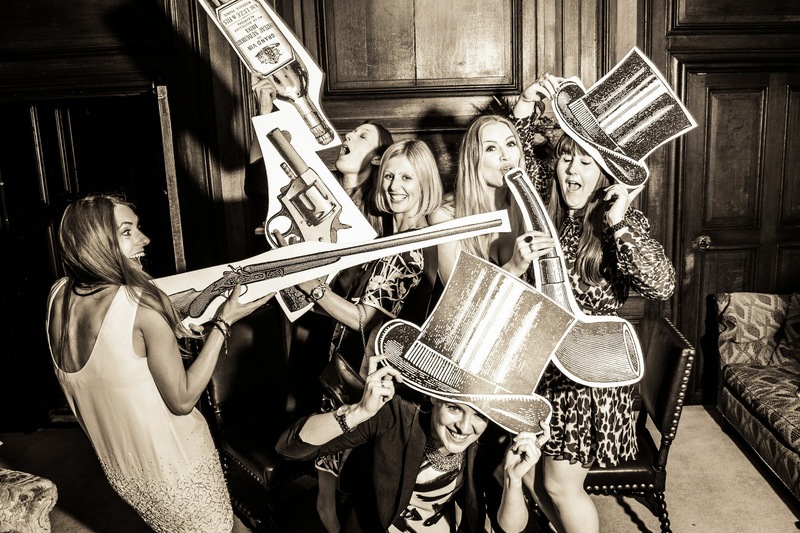 Boxless Booths bring Most Curious Photobooth Fun to Your Wedding! 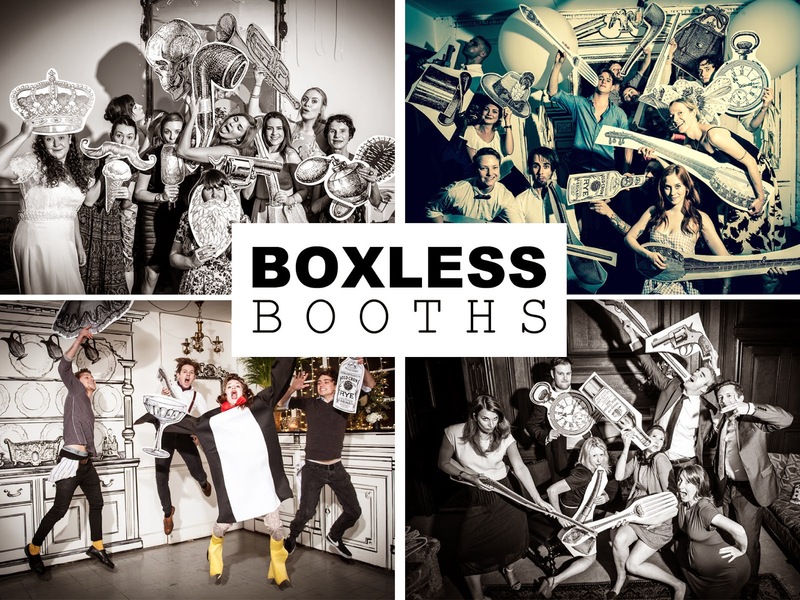 Boxless Booths was set up in 2014 by creative husband and wife team Paul and Oriana who share a love for photography, design, and of course a great wedding! After a very successful first year in business, Boxless Booths say they are honoured to be exhibiting at Most Curious and we're delighted to have them! To celebrate how much they love Boxless Booths weddings, they are setting up a live studio booth at our fair, giving away free photos to all participants and offering a 20% DISCOUNT off bookings, nice! 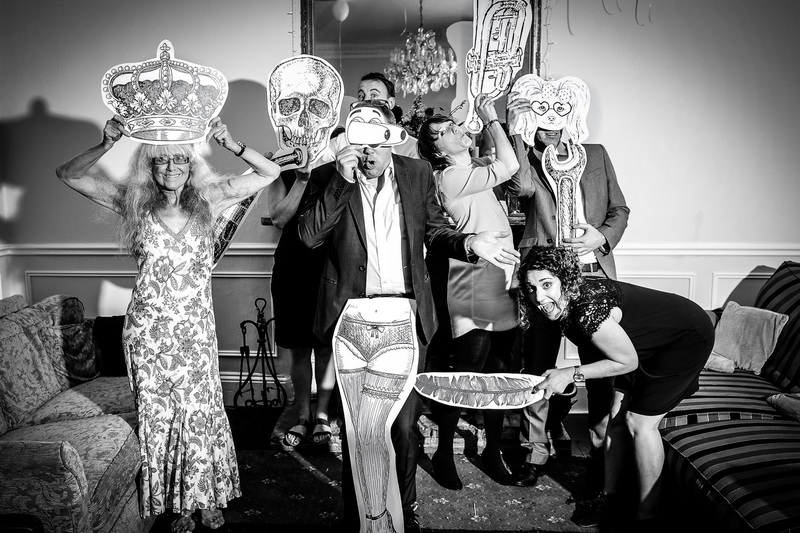 Inspired by the classic timelessness of photo booths, Paul and Oriana have given the traditional booth a twist by taking the experience out of the box and into the open space. 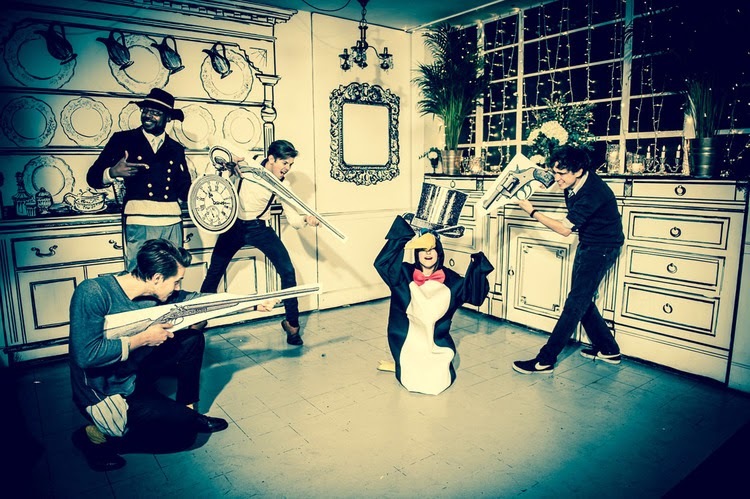 Equipped with signature illustrated props, backdrops and studio lighting, Paul invites guests to get together in a shot, have fun, be creative and have a laugh looking over the immediate printouts of their photos, which make great wedding favours! Clients also receive a digital image gallery so the bride and groom can easily share their Boxless Booths photos with their friends and family. The “booth’s” innovative design makes it easy to set up and takedown and can include as many or as few guests in a single shot, which makes each moment captured as posed or spontaneous as you like. Paul is a professional photographer who specializes in events and portraiture. He has shot at London Fashion Week and at events for Tony and Guy, and Ted Baker. 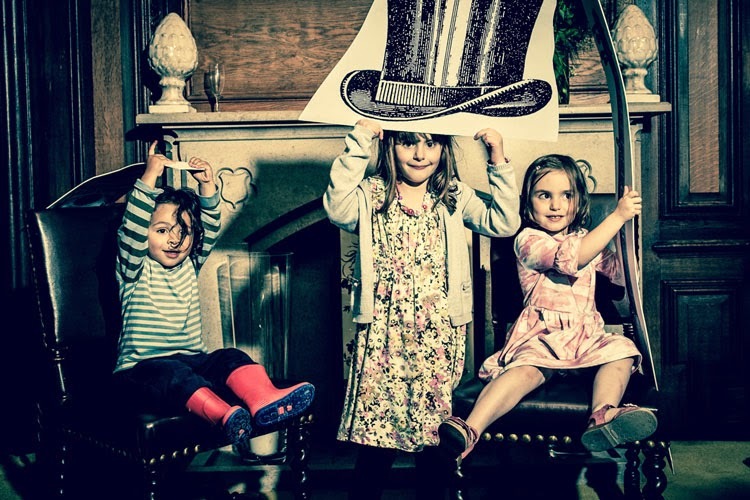 He has set up Boxless Booths at numerous weddings and corporate events for clients in the fashion and media industries, including a residency at the exclusive London club The Dolls House where “booths” were enjoyed by Alexander McQueen, Timeout, Ted Baker and Beggars Record Label. Paul has a natural eye for capturing peoples’ true characters and loves interacting with those he photographs. Paul’s eye for composition and Oriana’s knack for creative design makes for unique photos filled with character. Their personable, friendly and fun-loving professionalism makes Boxless Booths a great addition to any wedding. And the Most Curious thing about Boxless Booths? They're a pop-up photobooth service without a box of course! Make sure you come and say hello, you can get your tickets here!